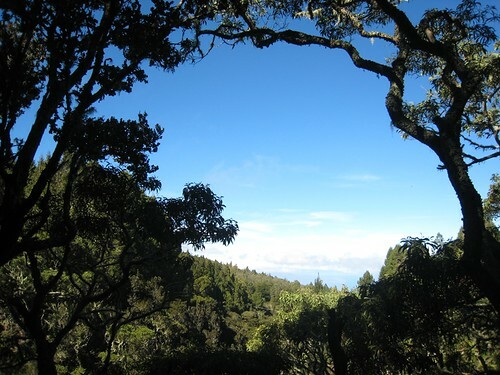 One other option for seeing Haleakala is to take one of the guided hikes provided by the National Park Service. The Nature Conservancy has the management rights to the Waikomoi stream which is part of the East Maui Watershed. 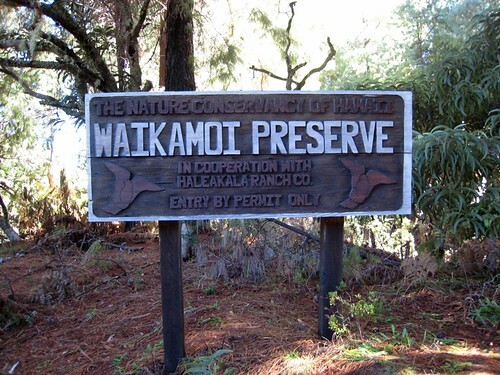 This area is called the Waikomoi Preserve. 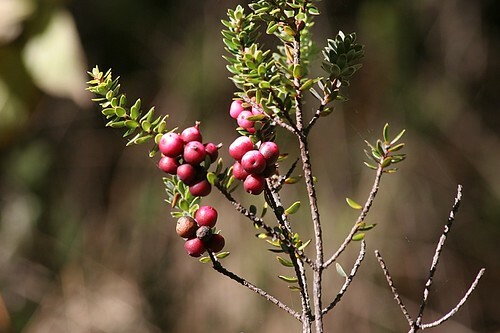 Along the stream, are many native Hawaiian trees and plants which provide the habitate for several native bird species. The NPS provides guided tours into this area and we signed up for the one on Monday. We met up with our guide Michelle and other tour members at the Hosmer’s Grove just past the entrance to the park. She guided us through part of the grove. It is interesting and somewhat sad. 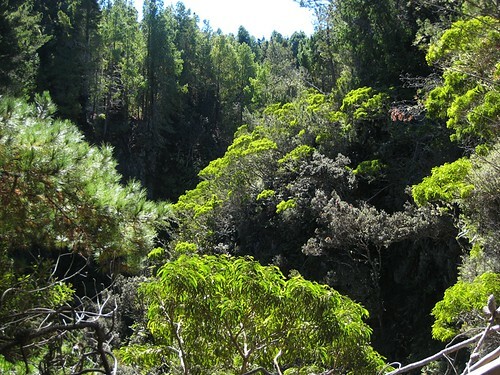 Ralph Hosmer, a forester, brought many non-native trees for trail onto the slopes of Haleakala. Only 4% of the species he tried survive. We hiked through this planting which was thick with little undergrowth. The trees were strange and branched – mostly a cedar, eucalyptus, and cypress. We hiked down a jeep path for about a mile until we started down into the stream gulch. The flora changed into more native plants and trees as we desended. And the birds! 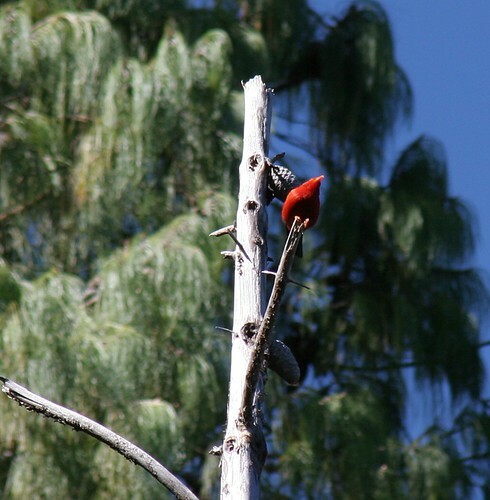 Two brilliant red native birds, the `apapane and the `i`iwi darted among the the native ōhi`a tree tops. 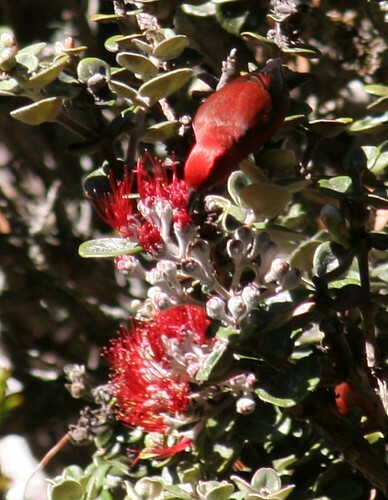 The bird love the red lehua flowers. 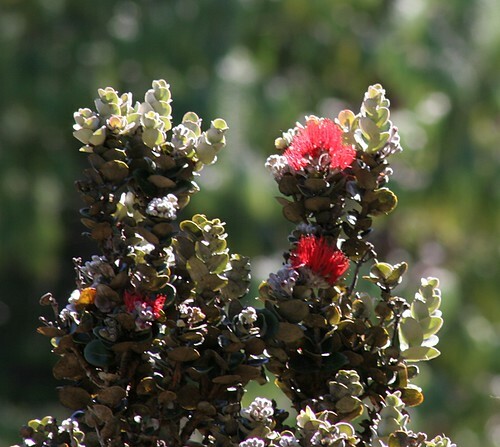 The tree is a Metrosideros polymorpha. There was also a yellow-green honeycreeper but we didn’t see it as much. The gulch area is very interesting. The trail decends down the side through the Koa trees and Hawaiian tree ferns. Everything is lined with lichens indicative of the moisture of the clouds. You can stay above at the tree top level and watch the birds or view from the stream bed. We spent about 20-25 minutes in the area watching the birds and exploring. Then we started our climb back up to the top. We took it slow with frequent stops. I highly recommend this hike. Call Haleakala NPS a week ahead to reserve your spot. Also check out this blog from a Maui nature photographer – Kanoe Blue Photography – for more photos of the preserve. Hi Marta, what a beautiful park. Your photos are so beautiful. I love your close-ups and that bright red bird is so pretty. It sounds like you are both having such a wonderful time. Thanks so much for sharing and keep on having fun.